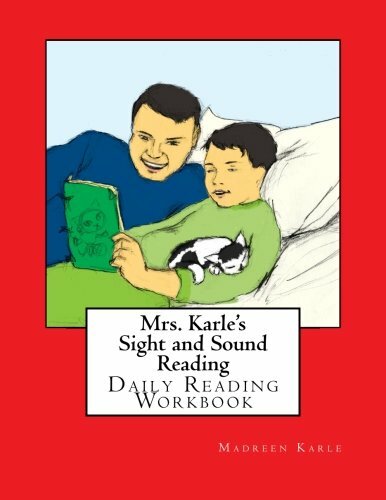 Many times I get emails from followers, or questions through facebook about how Sight and Sound Reading can help their child with reading. I first ask how old their child is, as well as if they have tried other programs or if they have any insight as to how their child struggles. While these answers are important, because I can try to connect the dots as to why their child struggles with reading, in many ways I can give a generic answer as to how to help struggling readers learn to read. First, you will want to make sure that your child feels confident in what they are learning. Most of the time what happens is that a child struggles learning to read and then does not feel good about learning/does not like learning because they do not feel good/confident about what they are doing. Instead of trying to push your child ahead, first take a step back. Try to figure out what your child knows and use that as a stepping stone. For instance, as I explain in our post about getting started in our learn to read for free program, if your child is struggling to read, test your child and see which sight words your child knows. Then, start the program on the video just before where your child is beginning to struggle. So, if your child can read all the words up to and including day 10, but does not know a word on day 11, then start your child at day 10 so that he/she has confidence in reading. Secondly, figure out whether your child is struggling with phonics/sounding out words, or whether they are having difficulty reading sight words, or whether they struggle with both phonics and sight words. Did you know that 80% of the words a child reads are sight words? These words cannot be sounded out -they must be memorized. If your child has not memorized these words, they are going to fail at reading 80% of the time! If I failed at something 80% of the time, I wouldn’t want to keep doing it! Additionally, sounding out words is difficult! If children struggle with sounding out words, this would make reading very frustrating! Once you figure out whether they struggle with sight words or they struggle with phonics, now you know where you need to help your child. 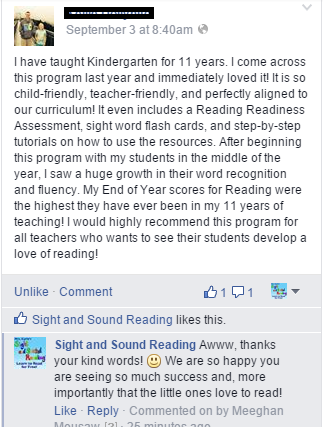 We always recommend that children start our sight word program because 80% of what a child will read are sight words. We get the child reading confidently using these sight words, and then we introduce phonics. This helps the child gain confidence with reading and start to like reading. Confidence is the entire key when learning to read! After starting the learn to read for free sight word program, you can introduce our phonics program. You can do word ladders/word families where the words are all alike/rhyme. You can even start teaching the vowels. Using the vowel worksheets to sound out words and sentences. The important thing is to go slowly. 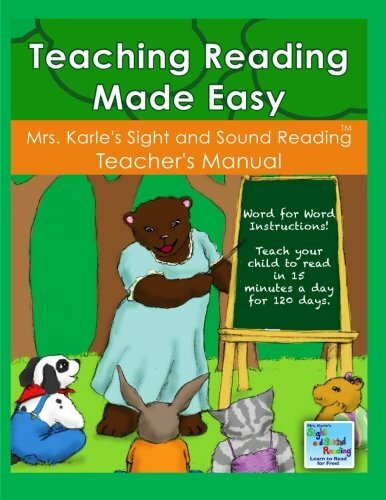 You can use Mrs. Karle a a guide in all the videos. You can watch the videos and learn how to teach reading, or, you can have your child watch the videos and follow along with Mrs. Karle. We have found a lot of success especially with the struggling readers because we go slowly and we repeat everything. Slow and steady wins the race! If you are teaching the program yourself – make sure you are going slowly, repeating everything, and building confidence. Do you want word for word instructions on how to help your child learn to read? Join our premium membership for word for word instructions and all the materials you need to teach reading/help your struggling reader! I just came upon a article about struggling readers. My son is in kindergarten an in school has been struggling to read his words but yet when he’s home he does so much better. The thing is they have 65 words they expect them to read in 10 minutes. My son gets nervous so he just starts to guess. But when we are home we go slow and he maybe missed 10 words wear at school hes missing 25. But the teachers just telling me he had a focusing problem. This is not doing any help for my sons confidence level. Any advice for a concerned mother who knows her child is smart but teachers don’t see the positive in him only negative. Please help..
Aww, poor guy! We definitely need to get his confidence level up so that he feels good about reading! So much of learning to read is confidence level. 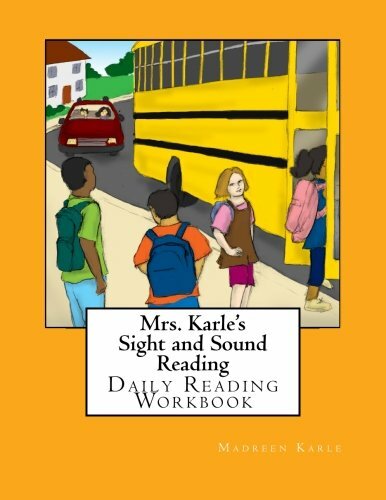 What I would recommend doing is following the directions in this post: https://www.sightandsoundreading.com/how-to-help-struggling-readers/ – Start on Day one of our learn to read free program and try to get to at least Day 25 by the end of summer. I am not sure which sight words he is expected to know for his particular school, but you can compare the list with our list here: https://www.sightandsoundreading.com/sight-word-reading-program-2/ If it looks like he should go a little further, then try to get him that far… The important thing is just to practice, practice, practice reading all summer. (You reading to him will also help). With our program, starting on Day 1, we can assure you that we only focus on what children know, so that they feel confident. After Day 1, make sure he really knows those Day 1 words, then do Day 2. Once he really knows Day 2, move on to Day 3. After Day 15 or so, you can introduce our phonics videos and by Day 25, our word ladder videos. The phonics videos will help him see magic in reading. Cat becomes bat, or sat, or sam. With the word ladders that will help build fluency (speed and accuracy). cat becomes bat, sat, rat, mat, fat, pat…you can go fast reading them up and down! Anyway, That is how I would proceed and I think it would really help him. You could try having him watch our videos or your can watch the videos and help him learn. Feel free to email me: [email protected] and I am happy to help you further. Yes, that is so true! I love that idea. I hvae hearing loss, so we always have our closed caption on our television. It does provide another reading opportunity. Thanks I will surely buy the product from you. 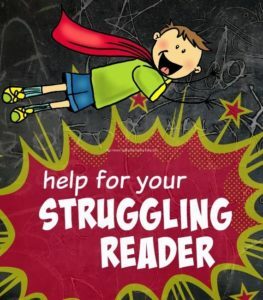 Thanks…if you have ANY questions about how to help your little reader, please feel free to email me at [email protected] -I am happy to help you figure out what your little reader needs to succeed.